Today we are joined by Nick Hardman of Betting School Insiders who has analysed the Betfred King George Stakes and the Betfred Mile. The Glorious Goodwood festival is in full flow and Friday sees the Group 2 Betfred King George Stakes over 5f and the 20 runner Betfred Mile heritage handicap. I have run the rule over the entries and hopefully identified a few likely types including a 28/1 outsider for the feature sprint. A big field handicap over a mile and it is worth applying some trends to try and whittle the field down to a few likely contenders. That leaves us with a short list of three – Velox, Russian Realm and Heavy Metal. With Russian Realm doubtful we are left with the top two in the betting. These horses are those that best match the profiles of previous winners since 1997. Caspian Prince looks a tad overpriced @28/1 given he has some decent form on downhill tracks including a win in the Epsom dash earlier this year. This is an obvious step up in class but he is a speedy type who should be suited by the track and must have an each-way shout if the rain stays away (best form on good to firm). Demora is another who brings good handicap form to the table and is worth a crack at this level. On form then Extortionist looks the one to beat but is priced up accordingly. Tropics also has top notch Group form including a career best runner up spot to Slade Power in the July Cup. However, this is his first attempt at the minimum trip. Hamza has a Group 3 win to this name three starts back (Es Que Love back in 2nd) and will most likely attempt to make all. He looks a solid back-to-lay proposition. Last year’s winner Moviesta has failed to go on this year but his figures over 5f on good or good to firm are excellent. I think he will run well. Finally don’t forget to keep an eye out for the 2yo Godolphin runners at Newmarket this Friday and Saturday. We have previously highlighted their performance at the July course over the last 5 years and they have proved very profitable to follow for this column in the last 4 weeks. Today we have a free PDF from the Secret Betting Club which features a few reviews of tipping services. 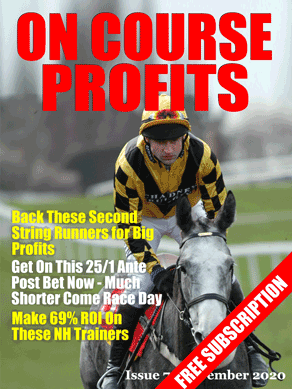 Including a free tipster and a £10 per month tipster. The PDF also includes an interview with Peter Green, who is a winning gambler. The interview details the early days of Peter's career where he paid the price of naivety. It then goes on to detail how Peter turned things around with the help of tipsters. The second interview with a guy called Rowan includes details of the services that he uses to make a part time profit from betting.